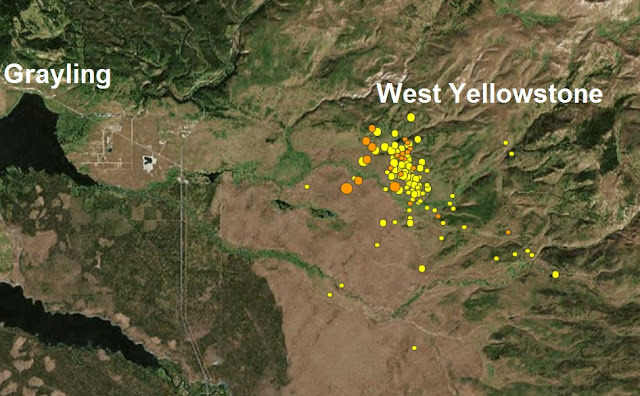 The epicenter of the shock was located 9.3 mi N of W. Yellowstone, MT.This earthquake is part of an ongoing sequence of earthquakes that began on June 12, 2017 and included a magnitude 4.4 event on June 15, 2017, 9.0 mi NNE of W. Yellowstone, MT. Today's M 3.6 earthquake was reported felt in Yellowstone National Park and in West Yellowstone, MT. It was followed by numerous smaller earthquakes, the largest of which had magnitudes of 2.8 and 2.9. The total number of located earthquakes in the current sequence has now exceeded 1200. Last month The University of Utah Seismograph Stations reported that an earthquake of magnitude 4.5 occurred at 06:48 PM on June 15, 2017 (MDT). It was part of an energetic sequence of nearly 500 small to medium earthquakes in the same area that began on June 12, see map below. 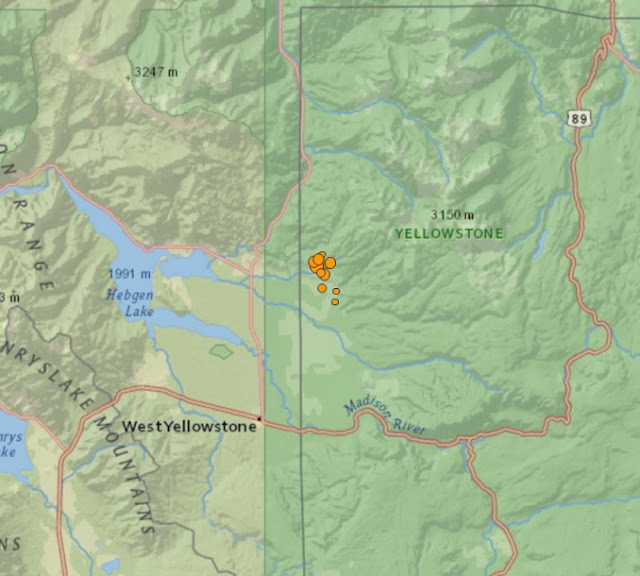 The mag 4.5 earthquake was the largest earthquake to occur in Yellowstone National Park since March 30, 2014, when a magnitude 4.8 event occurred 18 miles to the east, near Norris Geyser Basin.